Brothers Noah and Jacob take a break from engineering with some recreational gun play near their cardboard-box stronghold.Like a lot of boys, Jacob and Noah Budnitz like to build things. And they like to take things apart. re identifying projects that teach these skills. Photo: Rich Addicks for The Wall Street Journal. First it was Bristle Blocks, then Tinkertoys. They went through Legos—lots of Legos. But now, Jacob, age 10, and Noah, age 8, have graduated to other types of building materials: Doorknobs, alarm clocks and telephones. Plastic bottles and cardboard boxes. Scotch tape. Duct tape. Keys without locks, locks without keys. One thing they don’t use? Directions. When the boys use imagination and whatever they find at hand to create something, their mother, Tina Budnitz, calls it tinkering. Their latest project was the “Cricketnator 5000,” a contraption for feeding Noah’s pet bearded-dragon lizard, Spikey. The invention moves live crickets through a bath of calcium powder (for proper lizard bone growth) and into the lizard’s tank, where they meet their fate—and the boys don’t have to touch the crickets. 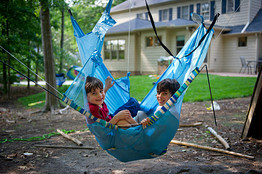 Noah Budnitz, 8, left, and his brother Jacob, 10, played in a hammock they created from an old infant beach tent at their home in Norcross, Ga.
Parents have long worried about how kids, as they get older, spend more time with videogames, cellphones and computers and less time tinkering. Now, Ms. Budnitz and a growing number of like-minded parents are fighting back by encouraging unstructured, hands-on creativity. A few years ago, toy companies vowed to focus on developing products that would keep kids playing with toys longer, says Adrienne Appell, trend specialist for the Toy Industry Association. The industry’s effort may have paid off. Building and construction toys were one of the few retail growth engines in toys last year. Sales of hands-on building toys jumped 23% to $1.6 billion in 2011 from $1.3 billion, while toys overall fell to $21.2 billion from $21.7 billion, according to NPD Group. The magazine holds Maker Faire, a sort of science fair on steroids for amateur inventors and visitors, that has grown from 20,000 in 2006, its first year, to more than 100,000 in San Mateo, Calif., in 2011. There are more than 50 MAKE-approved local fairs held around the world each year, and last year nearly half of all visitors brought their kids, the organizers say. “There’s a sense of learning, resourcefulness and confidence that comes from making or fixing something with your hands, and that really matters,” Mr. Dougherty says. Somewhere during or after their tween years, many boys seem to outgrow their Legos and lose the urge to build and tinker in favor of exercising their thumbs with electronics. It doesn’t help that retail shelves offer older boys few hands-on projects. In contrast, there are lots of options for older girls, whether it’s knitting, sewing, beading and scrapbooking or edgier crafts like inkjet tattooing, make-your-own makeup and nail art. It’s tricky, though, for toy makers to address boys’ and girls’ differing hands-on styles without alienating parents. Even Lego—whose intricate building sets are beloved by legions of families—hit a sour note in December, outraging feminist bloggers with a line of building sets for younger girls called Lego Friends, with themes like “Emma’s Fashion Design Studio” and “Butterfly Beauty Shop.” The bloggers were offended by the curvy figures and ponytails of the female play figures. Lego says the Friends line simply offers what girls and parents have been asking for. “Girls may choose to start with Friends, but then they go into Lego City or other sets. There’s a lot more instances of brothers and sisters, or fathers and daughters playing with Legos together than there was before,” says Michael McNally, director of brand relations for Lego. Lisa Damour, a psychologist and director of the Center for Research on Girls at the Laurel School in Shaker Heights, Ohio, says, the battle over girl-versus-boy Legos was, in some ways, the wrong fight to pick with the Danish toy giant. What motivates tinkerers to keep going through their teen years? Often, it’s the desire to circumvent a rule-setting, safety-conscious mother. Robert Scalzo, age 12, of Washington, D.C., was forced to tinker after his mom flatly refused to get him an airsoft gun for his birthday or Christmas. Instead, he built a slingshot, using a Swiss Army knife to trim a V-shaped branch, attaching two rubber bands and adding a pouch made of hockey tape. “I use a lot of hockey tape,” he says. Patrick Corelli, a Wayne, Pa., tinkerer, turned to YouTube and Wikipedia after his mother banned videogames when he was in sixth grade. 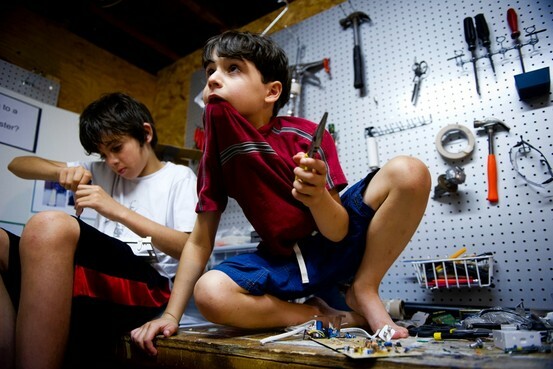 He learned how to put together furniture, fix his computer and “mod” his remote-control cars. His favorite YouTube-inspired creation was the air cannon he and his friends made out of 4-inch PVC pipe a few summers ago. “We put Gobstoppers candy down the tube, pumped it with a bike pump and shot the hard candy at targets across the street,” recalls Patrick, now 18 and a high school senior. “So far that’s the coolest thing I’ve built.” That may not be true for long. He is heading off to the University of Pittsburgh in the fall—with an engineering scholarship. 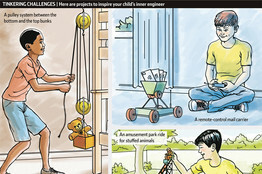 via Parents Encourage Creativity in Kids by Helping Them Tinker – WSJ.com. via Top 10 skills children learn from the arts. On Monday August 20, First Lady Michelle Obama will welcome 54 talented young chefs to the White House for the first-ever Kids State Dinner. The guests — ages 8-12 — are all winners of the Healthy Lunchtime Challenge, and each of them created an original recipe that is healthy, original and affordable, and contains the five food groups (fruits, veggies, protein, low-fat dairy, and whole grains). The recipes have been gathered into a digital cookbook, which will be published by Epicurious and available as a free download starting this week. But we’re previewing a few of them here — just click the links below and get cooking! via First Look: Delicious Recipes from the Healthy Lunchtime Challenge | Let’s Move!. a healthy biosphere for generations to come. The purpose of the Natural Learning Initiative is to promote the importance of the natural environment in the daily experience of all children, through environmental design, action research, education, and dissemination of information. The preschool that children attend has been shown to be a significant but variable predictor of physical activity of 3- to 5-yr-olds, whereas the time outdoors has been found to be a strong correlate of physical activity. For 3 weeks Mondays through Thursdays, kids will be encouraged to use their creative imaginations through active, hands-on art. Each project will incorporate creative time paired with outdoor activities. Permission slips will be handed out for field trips to Hiawatha (via walking) and Alki Beach (via bus). Registration is now open. You can pay per day ($45), for a week unlimited ($150) or all three weeks unlimited ($250). Space is limited, so register early! Tuesdays: we are hands-on cooking. From cookie pops to pasta and pizza making. 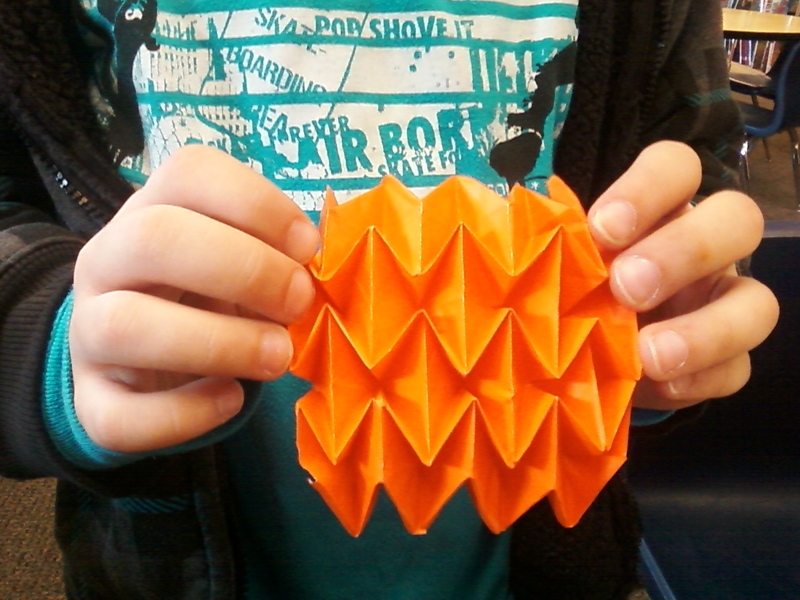 Wednesdays: kids will be doing origami and paper arts. We will make flowers and spinning air floaters, paper airplanes that spin, spiral and flip, along with paper hats and jewelry to wear on sunny days! Thursdays: Mandala Jewelry. 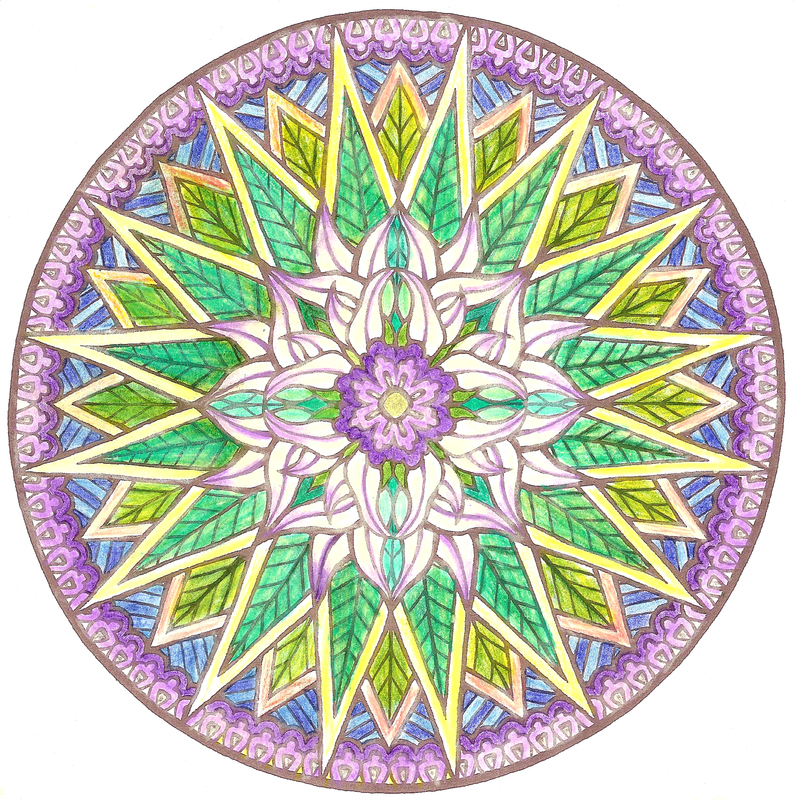 Mandala, sanskrit for Circle, is a fun meditation on plants, animals and geometric shapes! Color your own Mandalas and turn them into shrinky-dink pendants, earrings or bracelets.